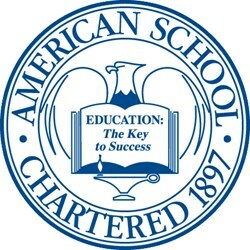 The American School, a leader in distance education since 1897, is proud to announce the winners of its 75th annual scholarship competition. Eighteen graduates from 14 states won scholarships to continue their educations at an accredited college or university of their choice. Their profiles appear below. Heather Aquavella says, The curriculum from the American School provided a solid foundation for my college courses at Harford Community College, where she earned a 4.0 GPA during her first semester as a business administration major. Her academic achievements earned her a place on the Presidents List and a spot in the Phi Theta Kappa honor society. When she is not in the classroom, Heather is a member of the Leadership Program , Social Empowerment Club and the Students Ambassador Program. Because the American School provided me with the opportunity to study at my own pace and schedule, she was able to attain a part-time job while earning her high school diploma. Heather is the second member of her family to earn an American School diploma. Her brother preceded her, and, after she completes her studies at Harford, she plans to duplicate her brothers college degree by attending Towson University. Nathaniel Birrers interests in science, music, languages and photography, Have made me wish to pursue a career in natural science, with an emphasis on computers and computer modeling. To help him get there, he is majoring in environmental science at Richard Stockton College, where he has earned a 4.0 GPA and appearances on the Deans List every semester of his college career. Outside of school, Nathaniel simply likes to be outside. He worked two summers as a counselor at the Schiff Nature Preserve, which was great because it allowed me to help teach kids aged 6-12 about the wonderful natural world. He also took part in the year-long Raritan Watershed Program which consisted of monthly lectures and field trips. Nathaniel is intrigued by the possibility of using computers as tools to understand the natural environment, so he is currently teaching himself two programming languages as well as networking and programming basics.